Next time you’re in a live music venue, please wear a NOT NORMAL – NOT OK sticker. We need to change the attitudes and actions that are still, sadly, turning our live music venues into unsafe spaces. And we need to do this openly, together, and from within the venues themselves. Later this year, NOT NORMAL – NOT OK will be implementing a special outreach programme with venues across the city, to support their existing avenues of support and to encourage people attending events to both look and speak out for each other. But whilst we put this together – with the support of prominent independent and mainstream venues, West Midlands Police, and regional support agencies – we want to show the perpetrators of sexual assault, violence, and misconduct that their actions will not be tolerated. 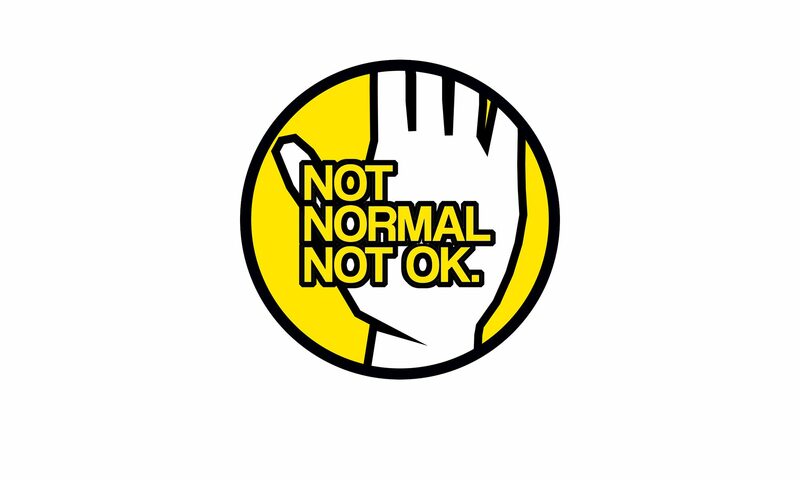 If you’re attending a live music event, or even if you’re performing at one, please wear a NOT NORMAL – NOT OK sticker whilst you are in the venue and show a firm solitary in the face of sexual aggression. 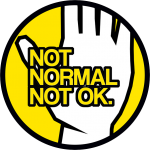 Simply email info@notnormalnotok.com and we will send you a sheet of thirty NOT NORMAL – NOT OK stickers to any address in the West Midlands, or arrange for them to be collected at a suitable point. Or if you are promoting/hosting a live music event and want to distribute stickers to people attending or working there, email us at info@notnormalnotok.com and we can arrange for the right amount to be sent out. There is strength in numbers, and the more people we can get to sign up in support of the NOT NORMAL – NOT OK campaign the louder our voice will be. To be one of those people, and to help our message be heard, click here.